The WWE Championship is in desperate need of attention. While AJ Styles' year-long run with the championship was a huge success, the once-top title was never seen as the biggest prize in the company during his entire run atop his brand, and the trend has just continued since. To put this into perspective, before Elimination Chamber earlier this month, the last time the title was defended in the main event of any dual-branded PPV was at Battleground in 2016 when Dean Ambrose defended it against his former Shield brethren - Seth Rollins and Roman Reigns. That was before the most recent brand split even began and also before the inception of both the Universal and the Smackdown Women's Championships. While Brock Lesnar competing elsewhere on the same PPV does carry more weight, the truth of the matter is that even when he wasn't necessarily on the show, the WWE title played second fiddle to someone else - like Roman Reigns, Seth Rollins or Becky Lynch. This needs to stop if the fans are supposed to care about the titleholder going forward and the only way to do that at this point, would be to avoid having unproven challengers competing for the gold. While Nakamura, Samoa Joe and Rusev are all great performers in their own rights and deserve the spotlight, their inclusion in the title hunt in 2018 resulted in management relegating the WWE title to midcard. It should be noted that as of this writing, Kofi Kingston is the likeliest WrestleMania opponent for Daniel Bryan's WWE Championship at Mania but this article is not about that. We'll be looking at the ideal challengers for Bryan (and fantasy booking them) given the current circumstances which can realistically break the trend of the WWE title being relegated to midcard. And yes, this does mean that Kingston is not the ideal challenger for Daniel Bryan's title at the Show of Shows. 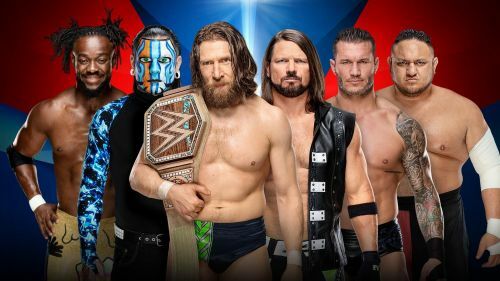 Barring AJ Styles - since he's already had multiple shots to reclaim the title this year - there are not a lot of active competitors on the blue brand who can realistically provide the WWE title picture with that "big match" feeling - other than Randy Orton. The Viper is a proven commodity in the wrestling industry and is always just an angle away from being inserted in the main event. His WWE career to this point including multiple WrestleMania main events will make sure the WWE title match in April feels like one of the main attractions on a show which won't lack star power elsewhere. While the RAW Women's Championship match is rightfully the obvious main event of the show, the WWE title match will be in direct competition with the Universal title match pitting Rollins against Lesnar (who are both big stars in the company). The 'New' Daniel Bryan will need a high calibre star to match the magnitude of its RAW counterpart, and who better than the 13 time World Championship to take up the spot? Besides, the last time we saw Orton competing for the WWE Championship was in August of 2017. Since then, he's gone back to his heel roots producing some of the best angles he's ever been part of including his epic beatdowns of both Jeff Hardy and Rey Mysterio. While WWE has surprisingly toned down his heel antics in recent months, there's no reason to believe they won't bring his vicious side back in order to heat up the title match at WrestleMania. The only thing, however, that will keep Orton from challenging Bryan at WrestleMania, will be the fact that both are currently heels and the fan logistics don't sit right when two villains compete against each other. 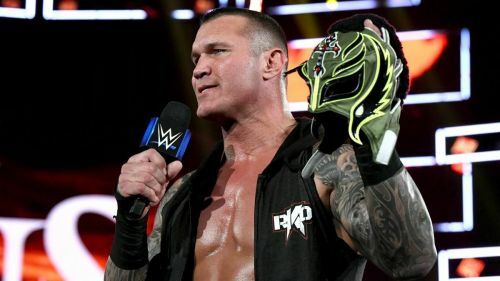 Byran will be better off competing against a babyface hero at the Grandest Stage of them all, and as for Orton - well there's already a ready-made program for him come April, and that's with the Phenomenal One. WrestleMania 35: Is WWE Afraid of the Pay Off?